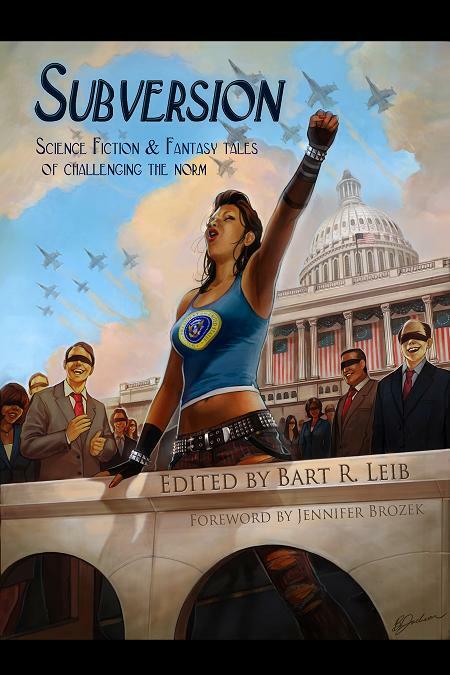 My story “And All Its Truths” is coming out today in the SUBVERSION anthology. Reviewers already have nice things to say about this antho and this story, which is lovely and delicious. Lineup includes stories by Jessica Reisman, Shanna Germain, Cat Rambo, Wendy Wagner, Kay T. Holt, Caleb Jordan Schulz, Melissa S. Green, Daniel José Older, Kelly Jennings, Barbara Krasnoff, Natania Barron, Jean Johnson, C.A. Young, Timothy T. Murphy, and RJ Astruc & Deirdre M. Murphy. Ever wondered what I looked like in a mohawk? Ever wondered if my twang emerges more when I talk about growing up in Austin, Texas? Here’s a book trailer for SUBVERSION which may answer all your questions, or stir up a pot of new ones. . . .